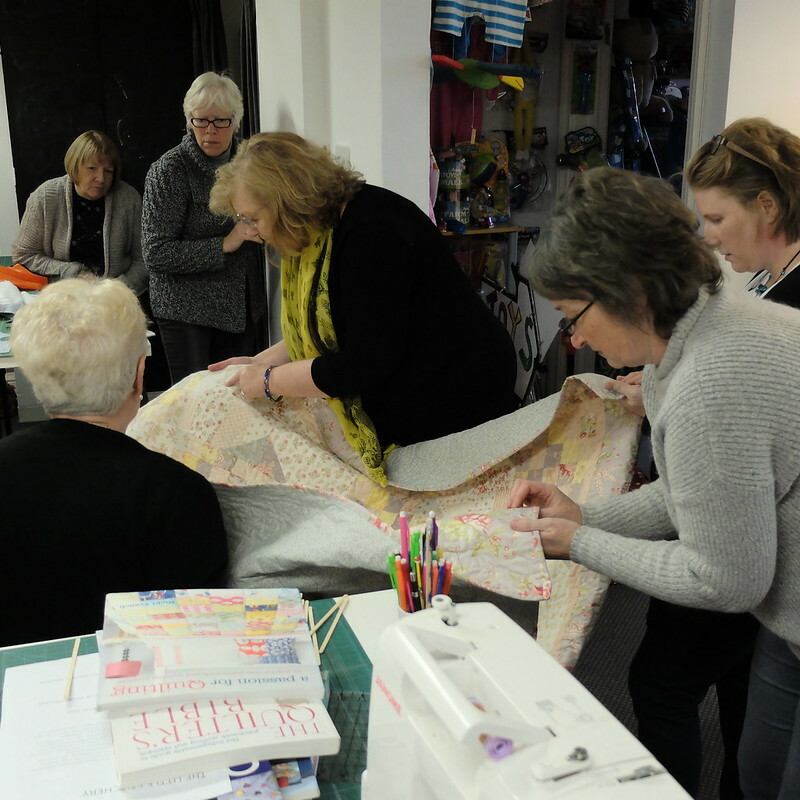 My renewed interest in dressmaking has led to a curiosity about other forms of sewing, so when I had the chance to attend a free workshop on quilting I signed up straight away. 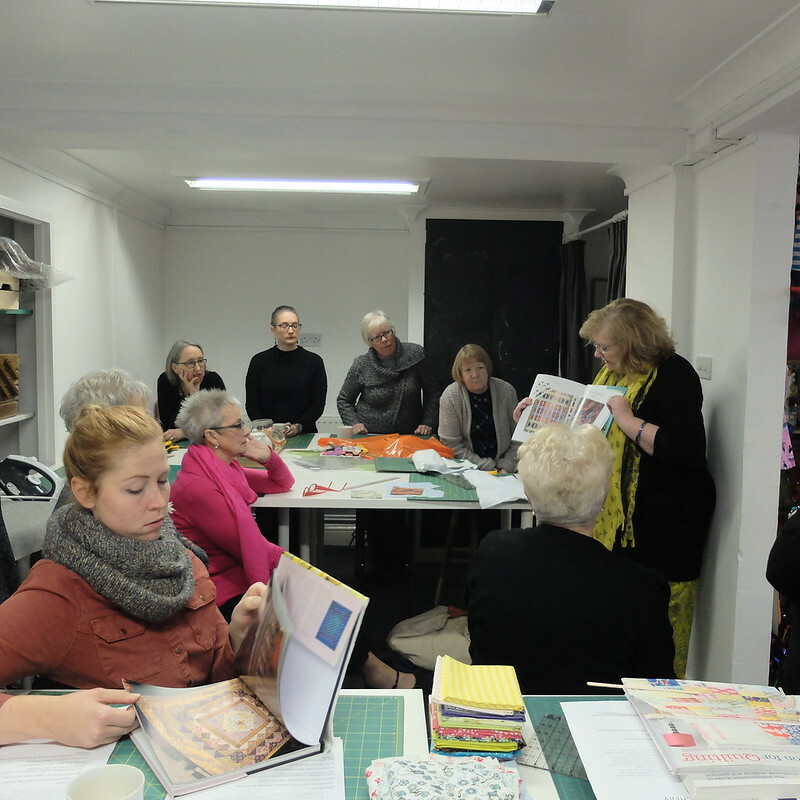 The workshop was being held in The Little Stitchery, in Ystradynglais in the next valley over from where I live. 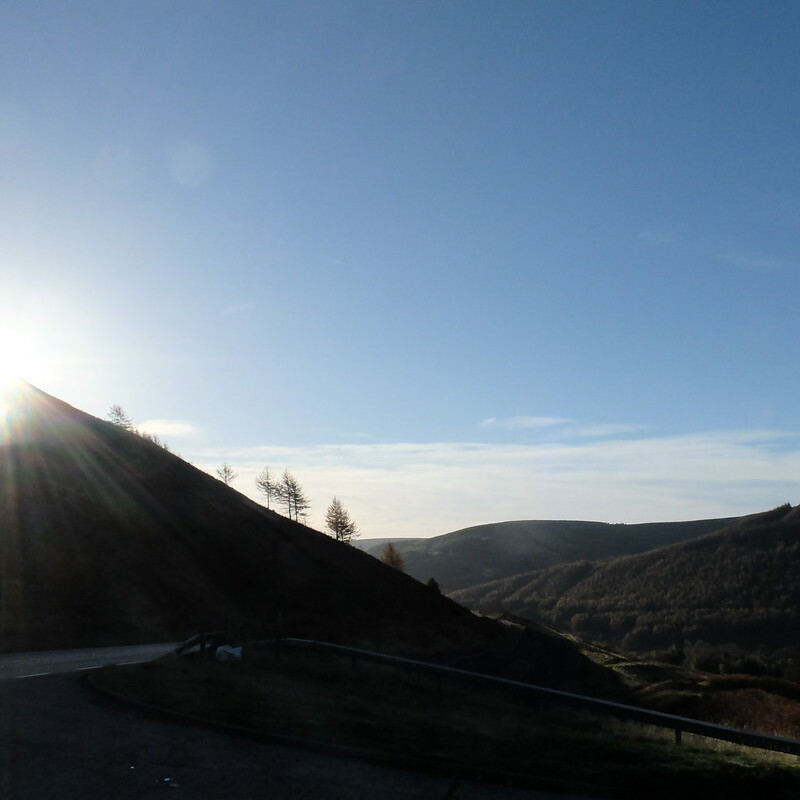 The Neath valley is very scenic, so I enjoyed a Sunday morning drive there. It was the most glorious glowing Autumn day. I could see how it could become addictive. I think I should probably concentrate on one thing at a time though and stick to dressmaking for now. 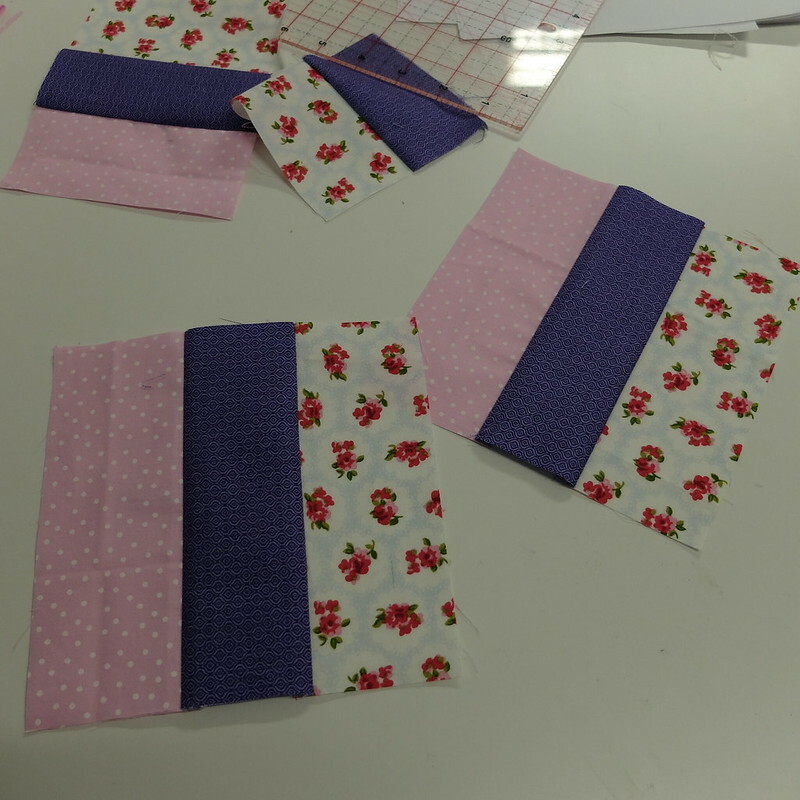 I may revisit quilt making in future, when I'm a bit quicker at sewing and could make one in less than a year!! I seem to recall reading that wholecloth quilts were popular in Wales - the emphasis was on the stitching rather than the piecing - and the colours quite restrained because of the influence of Methodism. I bet St Fagans has a good display. This could be a good way to use up all your offcuts from dressmaking. I think you're right. 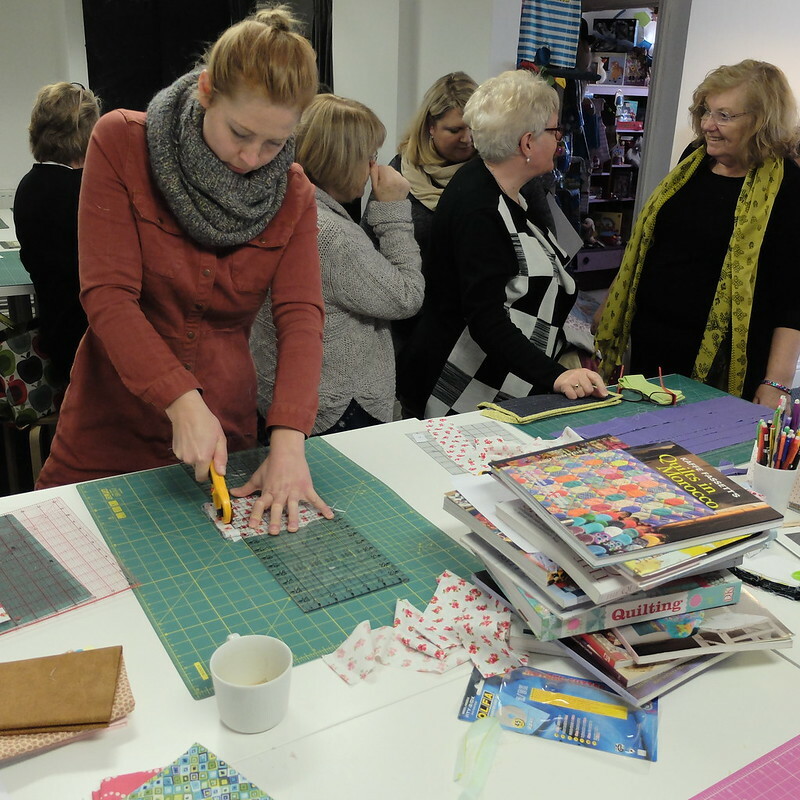 There is a quilting museum somewhere in Wales too! I will have to find it. Wow! What a beautiful drive you had. Sounds like fun! 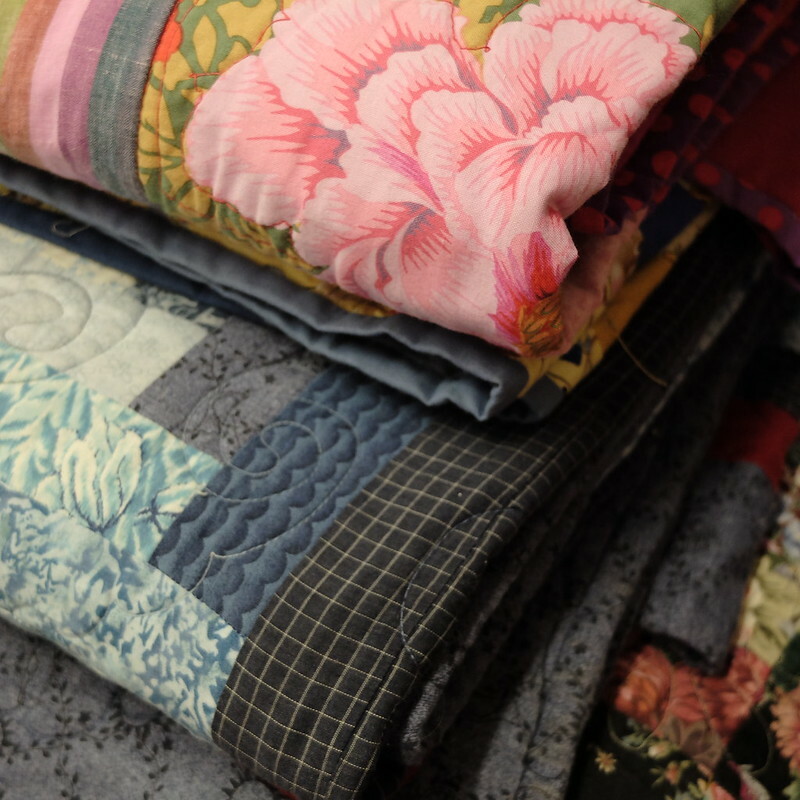 My grandma used to make quilts, and I wish that I still had one. It's definitely an art form. That's awesome that you got to attend this workshop for free. And wow, take my breath away. That first photo of the scenery during the drive is so amazing! I'm so glad you made the comment about accuracy. I've always felt that quilting was Not For Me for that reason, but also felt guilty about not trying. I think I'll stick to my instincts on that one. Oh I'm so jealous!! I have done a bit of quilting, but I feel like it would work much better in a group setting, with a cup if tea and some chit chat. Makes the time fly by. On your own it feels a bit daunting, working on something so big makes it a laborious task.